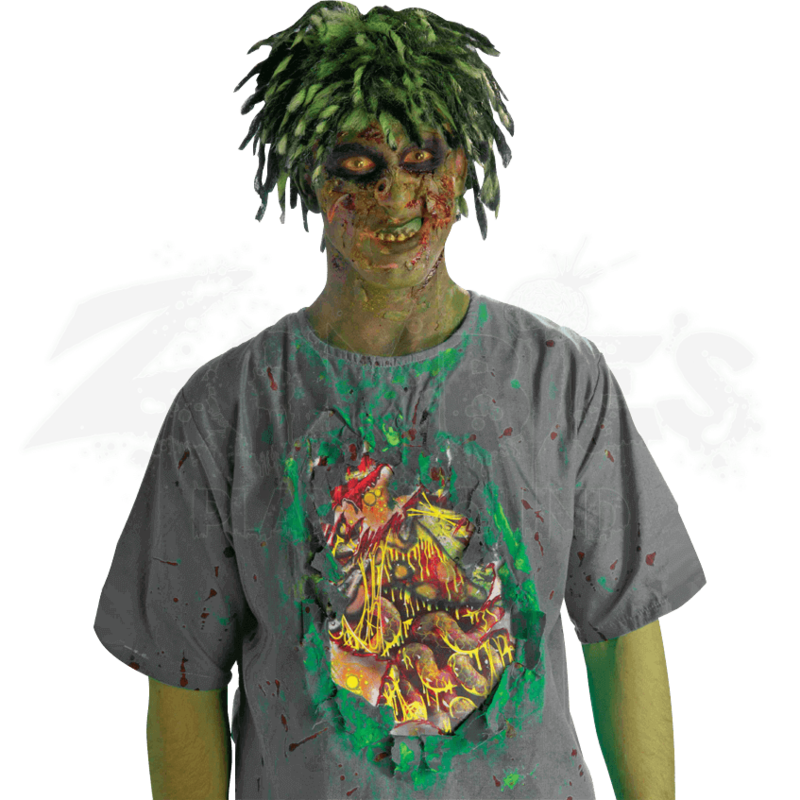 If no one trusts that you are a zombie on the inside, wear this Biohazard Zombie Shirt with Exposed Guts, and they will have no choice but to believe you. After all, what is inside counts, and these exposed innards do not lie. This impressively detailed shirt is made from gray fabric and features short sleeves. The front of the shirt is tattered and torn open, revealing a few fragments of bloody, torn flesh, as well as a massive section of the abdomen that has been shredded away, leaving the internal organs completely exposed. Far from healthy, human organs, these innards are coated in strange green slime, leaving no doubt that the wearer of the shirt is irrefutably zombified. Dark green stains can be found around the shirts collar, as well as all down the front of the shirt, surrounding the tattered opening. Please note that this shirt includes only the shirt, and that any other items featured, like the wig and make-up, are not included. The shirt is available in one standard size, which fits up to a 42 inch chest. 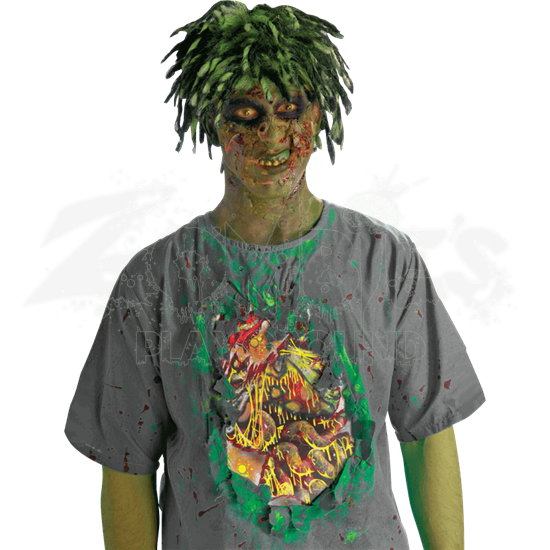 Versatility is the point of this garment, as the Biohazard Zombie Shirt with Exposed Guts is a great piece to wear with virtually any zombie costume, providing a comfortable garment that still features incredible zombie style and design.